ELLIOT IS ACTIVE AS WRITER FOR MUSICALS, FILM AND RADIO. BECOMING NANCY (music and lyrics by George Stiles & Anthony Drewe, directed by Jerry Mitchell). LOSERVILLE (West Yorkshire Playhouse, Garrick, West End), Olivier nominated for Best New Musical. REHAB The Musical (book), music by Grant Black, lyrics by Murray Luchlan Young). SOHO CINDERS (co-book with Anthony Drewe, music by George Stiles). PETER PAN (revised book with Stiles & Drewe), OUT THERE written with James Bourne (Riverside Studios, Union), BEST FRIENDS & BUTTERFLIES (book and music), TicketMaster Composer Award / Best New Musical Vivian Ellis Award. WHAT I GO TO SCHOOL FOR – THE BUSTED MUSICAL (Brighton Theatre Royal). FINGS AIN’T WOT THEY USED T’BE (new adaptation for Stratford East) directed by Terry Johnson. Current Projects: BECOMING NANCY (book), music by Stiles & Drewe, directed by Jerry Mitchell. In another career strand Elliot is a prolific music documentary maker for the BBC. His celebration of Tommy Steele’s life presented by Bill Kenwright was broadcast for Xmas 2016. He has written the life stories of Joan Littlewood, The Bee Gees, Gloria Estefan, Neil Diamond, Barry Manilow, James Last, Paul Anka and Freddie Mercury’s 60 Commemoration; all for the BBC. He is the inaugral recipient of the JJ Screenwriting Bursary in association with BAFTA. His first feature film screenplay ‘Consider Yourself’ was commissioned by BBC films and shoots later 2017 starring Geoffrey Rush. He has just completed his second feature film also for the BBC. Elliot has developed a close musical collaboration with Burt Bacharach. 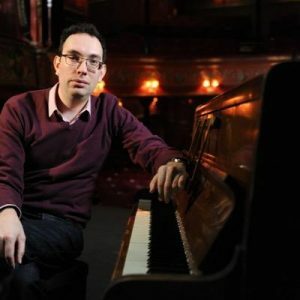 He was musical director for the BBC / Senbla’s Televised ‘A Life In Song With Burt Bacharach’ at the Festival Hall (2015) and musical director for Mr Bacharach’s Palladium and Festival Hall concerts in 2016. In 2016 Elliot conducted A Rogers & Hammerstein Celebration with the London Symphony Orchestra and a Judy Garland Live Experience at the London Palladium. Over his career he has musically supervised and conducted many musicals! Every year for the past few years Elliot has staged a concert to raise funds to Teenage Cancer Trust. The Teenage Cancer trust is dedicated to building specialist medical units to meet the specific needs of teenagers battling cancer. In 2013 Elliot produced the ‘Collaborations’ album and staged a concert at the St James Theatre in aid of Teenage Cancer Trust. 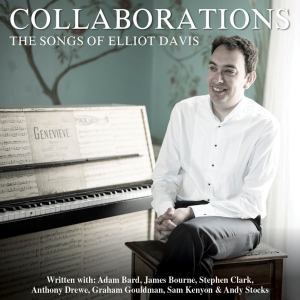 Artists featured on the album include Julie Atherton, Paul Baker, James Bourne, Kirsty Hoiles, Caroline Sheen, Scarlett Strallen, Carley Stenson and Michael Xavier – Buy the ‘Collaborations’ album here. 2010 Elliot staged a variety concert At Wilton’s Music Hall and then trekked to the Himalayas. In 2011 Elliot staged a concert at The Queens Theatre of his new musical co-written with George Stiles and Anthony Drewe called Soho Cinders. Visit the Gallery to see the images of the Teenage Cancer Trust Concerts and the Treks.